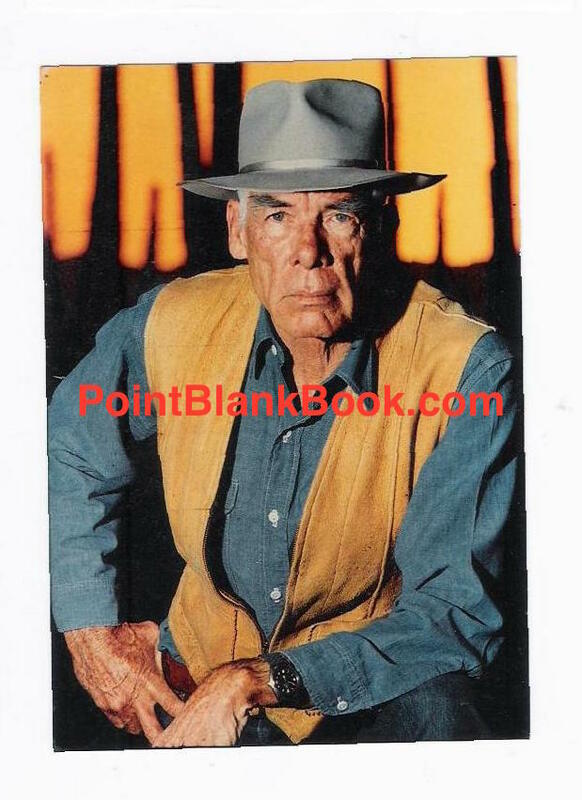 Fashion trends may seem an unlikely subject for a blog promoting Lee Marvin Point Blank. Choice of firearms may seem a more likely subject. However, based on what several folks have told me over the years about the man, fashion trends is a subject that does indeed deserve some undo recognition. 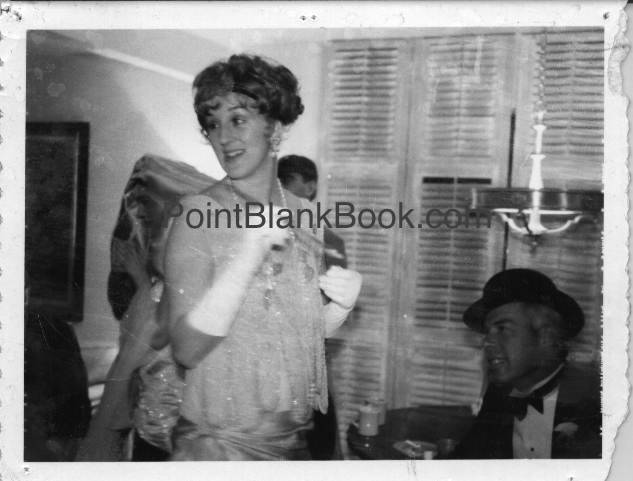 Betty Marvin (left) with husband Lee (bottom right) dressed approriately for a St. Valentine’s Day Massacre Party. Backstage after winning his Oscar, Lee wore the requisite formal attire, but topped it off with the then fashionable chevron tie. 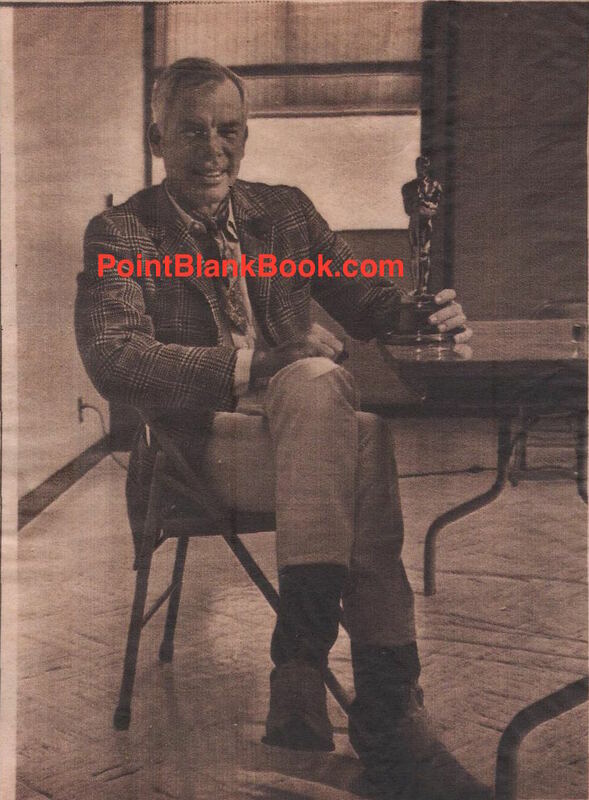 Having partied all night after his Oscar win, the next morning Lee held an impromptu press conference at LAX on the way back to the London set of THE DIRTY DOZEN, but still managed to look fashionable in boots, khakis, sport coat and bandana tie. 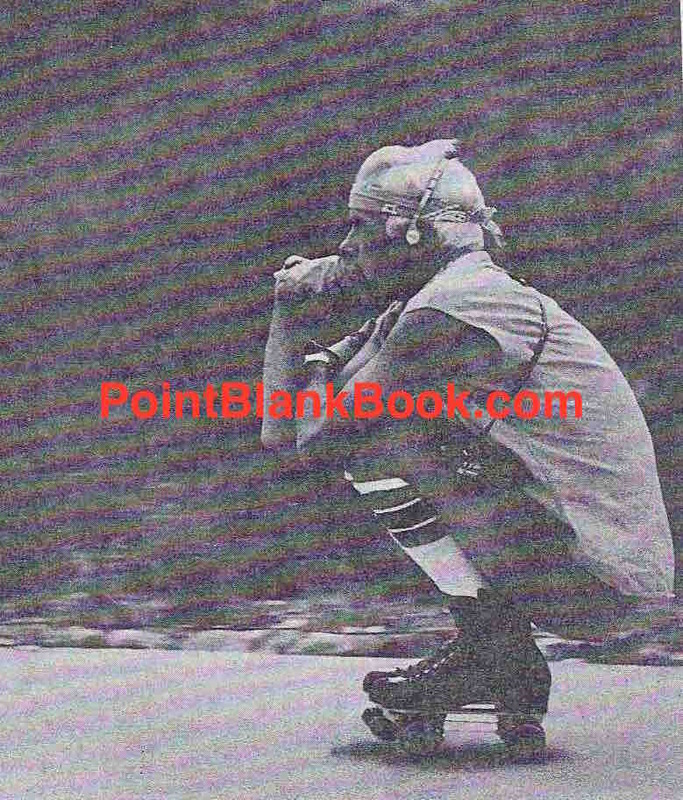 A 1980 People magazine article pictured Lee doing what contemporaries like John Wayne & Robert Mitchum would never do: Join the roller boogie craze, with fashion trend-y head band and Walkman. Even in old age, Marvin set fashion trends with a crisp denim shirt and zippered suede vest topped off with a Stetson Open Road Fedora. 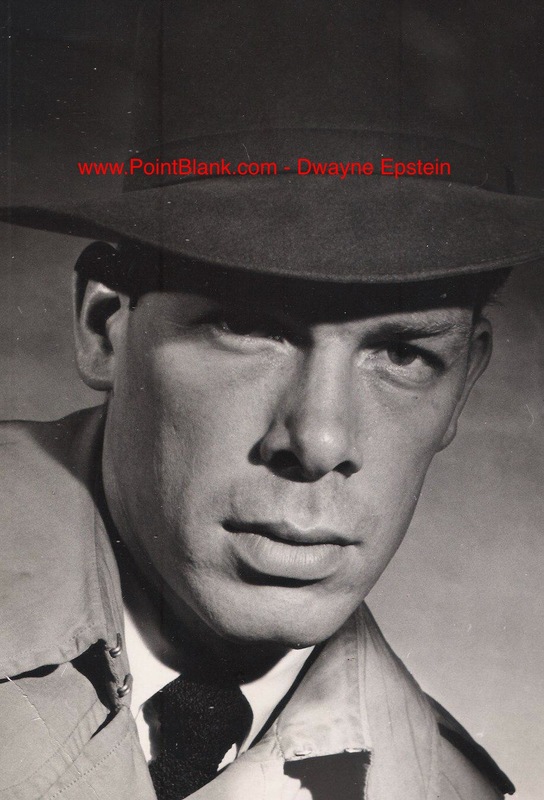 Before Lee Marvin Point Blank was even published in 2013, the people and places it showed up with surprised even me. For instance, publisher Tim Schaffner sent an advance review copy to publicist Mike Phillips who chose to waste no time in digging in, even if it meant taking it along to his work out…. 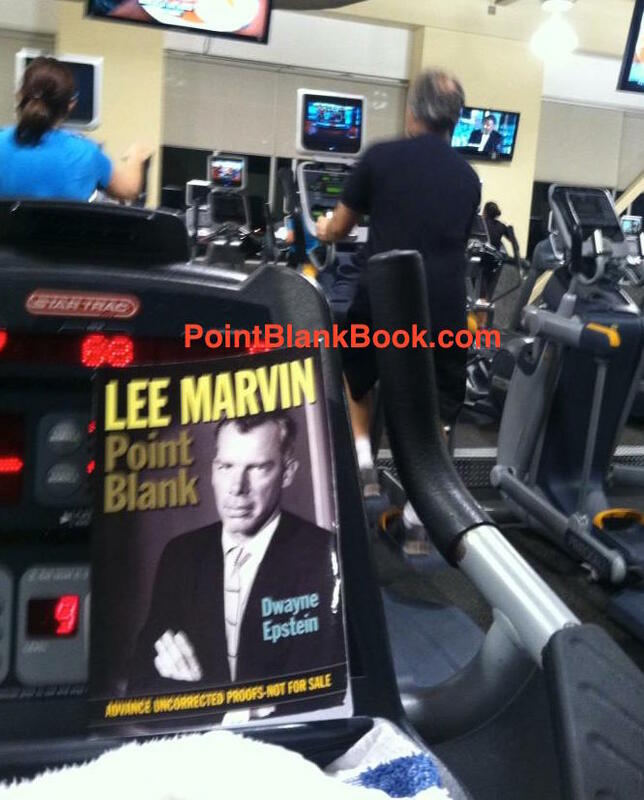 Publicist Mike Phillips shares the advance copy with fellow gym members. Once it did come out, I was quite gratified to see where and with whom it showed up. Of course, how one reads it is entirely up to the reader. 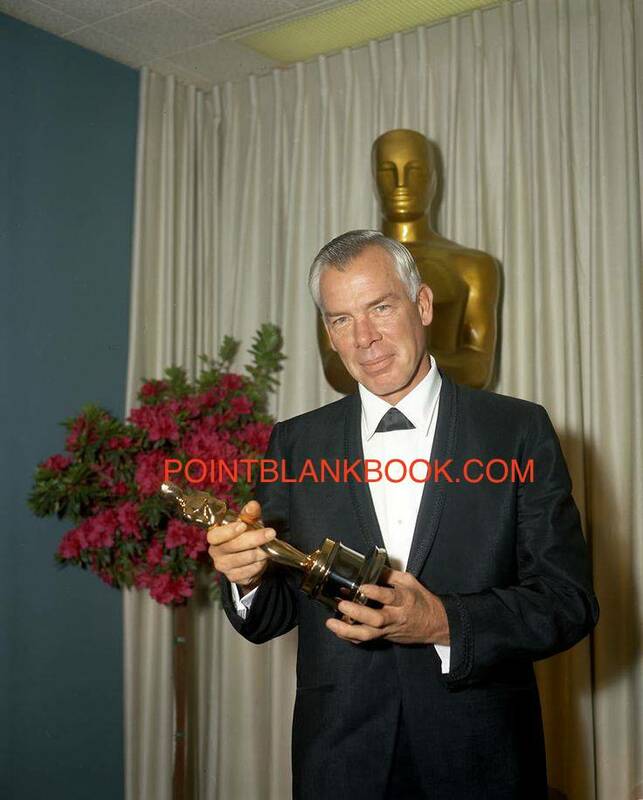 take for instance Lee Marvin fan, Bill Consolo, who seems to have found a Hebrew version…. 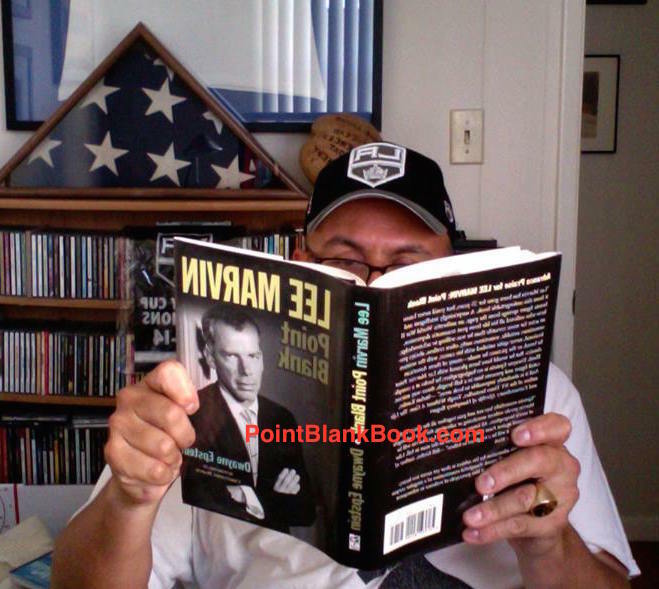 Bill Consolo reads what appears to be a unique copy of Lee Marvin Point Blank. Of course, even some celebrities have taken to help promote the book. 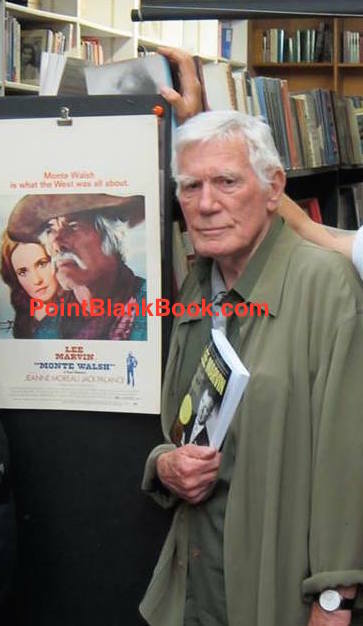 When I did a book-signing at Larry Edmunds Bookshop, I was fortunate to have Mitch Ryan, Lee Marvin’s Monte Walsh costar, agree to appear…. 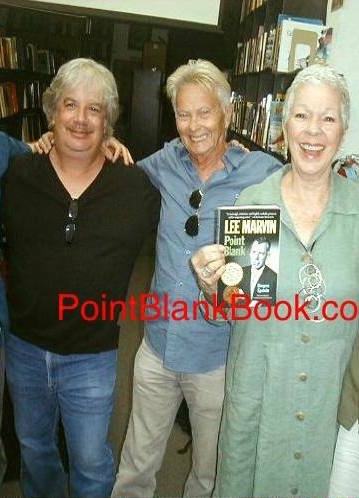 Mitch Ryan, clearly excited to get his copy of Lee Marvin Point Blank. At the same book signing, and much to my surprise, I finally got to meet up with veteran stage, film and TV actor, Ron Thompson. He had a dual role in one of my favorite films, American Pop, playing both Tony and Tony’s son, Little Pete. Ron and I became friends via Facebook and we had talked about meeting up a few times. His appearances at the book signing and later, his favorable opinion (third from the bottom) of my work was one of the most rewarding personal experiences I’ve had thus far. While he was there, he received his own surprise as the lady who accompanied Mitch Ryan was an old friend of Ron’s that he had not seen in years! See what can happen when you come to one of my book signings! (L-R) Author Dwayne Epstein, American Pop’s Ron Thompson and his long lost friend, Claudette Sutherland.